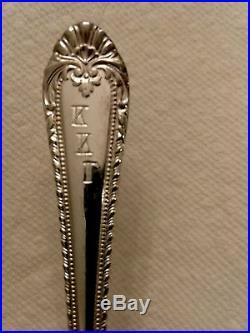 Vintage Kappa Kappa Gamma Reed & Barton silver flatware. 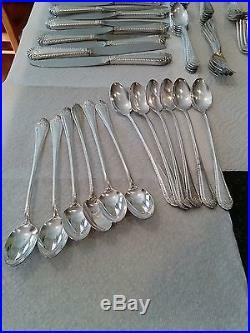 8 complete settings with extra tea spoons and other pieces. 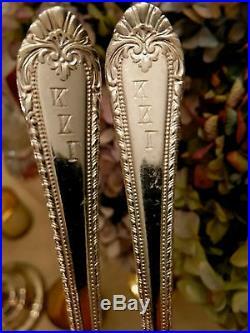 Each piece is delicately engraved with the KK letters near the top of the handle. 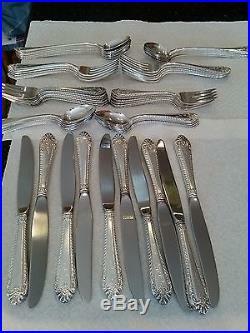 This looks to be the “Old London” pattern that was issued in 1936. The knives have steel blades. Perfect for a conversation starter or a Throwback Thursday gathering. 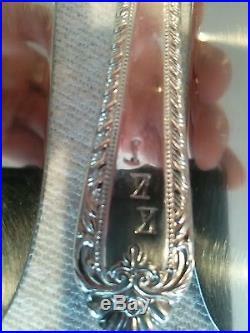 Update 4/7/2016 : I’ve added to 2 close-up pictures of the engraving in the handle areas. Every piece has the correct KK mark. 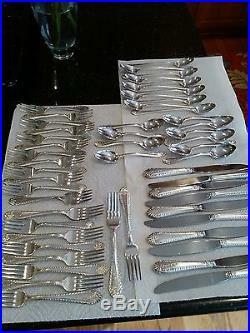 The item “Kappa Kappa Gamma KKG Reed and Barton Silver Plate Flatware 54 Pieces-Vintage” is in sale since Saturday, April 02, 2016. 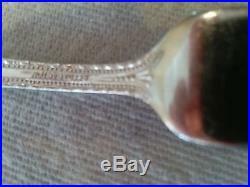 This item is in the category “Collectibles\Historical Memorabilia\Fraternal Organizations\Fraternity & Sorority”. 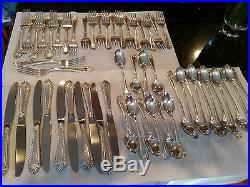 The seller is “hrw_nc” and is located in Charlotte, North Carolina. This item can be shipped worldwide.